This column will discuss the new technology revealed by AMD for improved graphics performance on GCN (Graphics Core Next) products, and looks at whether it’s an important addition to the PC space, or just another layer of complexity that gamers don’t need. 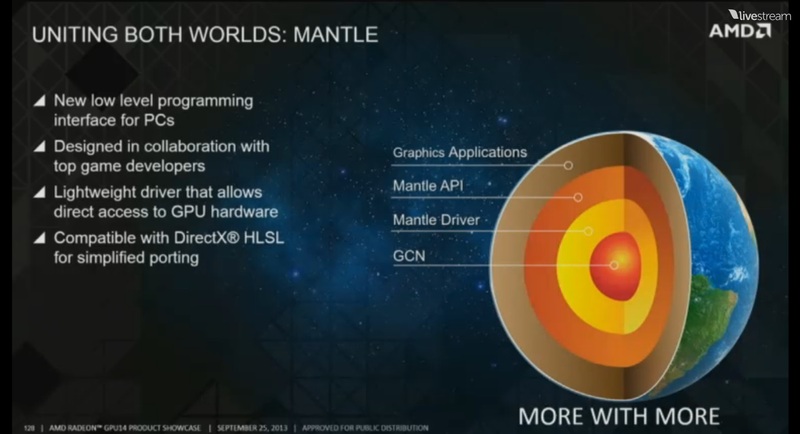 At their GPU14 conference in Hawaii, AMD revealed Mantle, a new application program interface (API) for games that gives developers a third option instead of using OpenGL or DirectX. Mantle has been in the works for more than two years and AMD is confident that it will give them the upper hand in the market. But what is Mantle, and is it really needed? Mantle uniting console and PC development. Mantle is an alternative to an existing industry standard that seeks to do the job better than what Microsoft is capable of with DirectX. 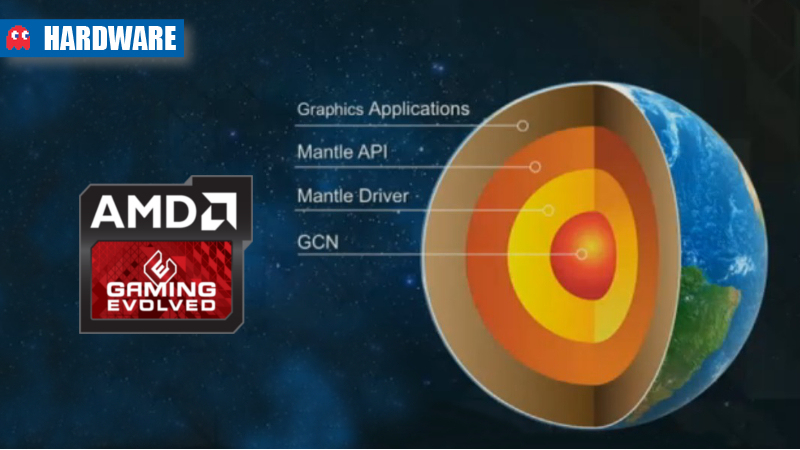 Mantle is a new API that will work only on AMD graphics cards with the GCN architecture and is a rather low-level solution, ridding itself of the overheads and performance hits associated with DirectX. 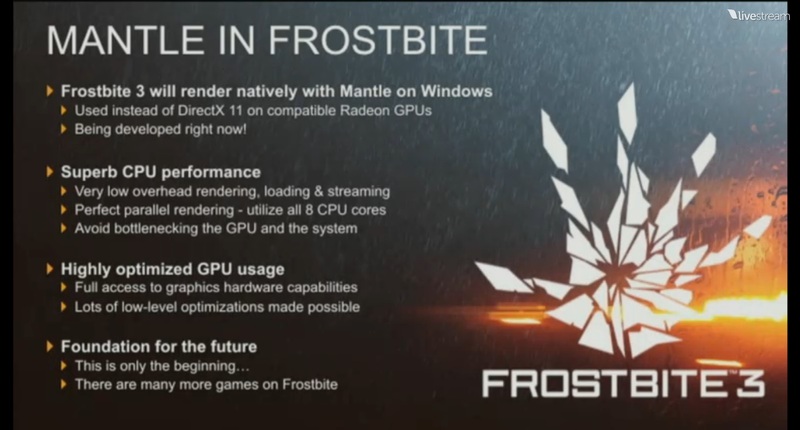 Mantle doesn’t replace DirectX completely; it’s has been created as a result of AMD’s involvement with the Xbox One and PS4. 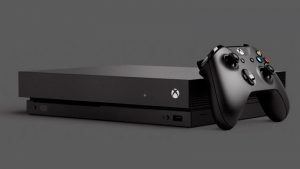 Right now it’s the easiest way for developers that use the next-gen console’s as their lead platform to port the code to PC. That’s why DICE is the first studio to announce support for it on the desktop, because they’re working on the PC port for Battlefield 4 right now. In fact, Mantle will be one of the native rendering options for Frostbite 3.0 games on Windows, so we’ll see it eventually supported in games like Plants vs Zombies: Garden Warfare, Need for Speed: Rivals, Star Wars Battlefront, and Dragon Age: Inquisition. As far as support for the new API goes, if DICE can pull it off, anyone can. Game developers have been asking for a low-level API for use in games for a while now. 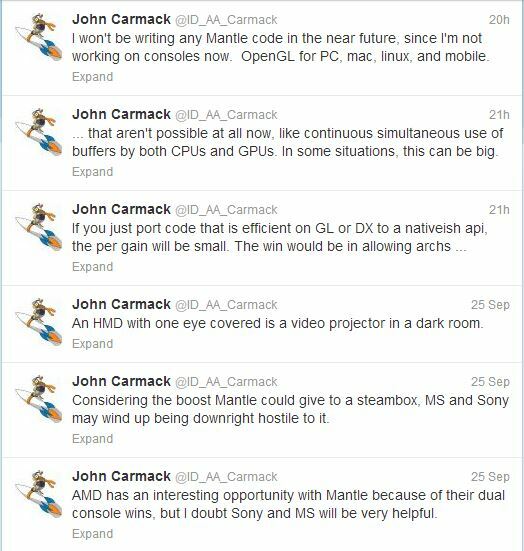 John Carmack frequently tweets about how he hates working with high-level, laggy API solutions while studios like Crytek welcome the ability to push hardware to the limits of what it and the game engine can achieve. In the end, Mantle may be AMD’s delivery mechanism for HSA (Heterogeneous Software Acceleration) and HUMA (Heterogeneous Universal Memory Access) to allow games to take advantage of these technologies in the future. HUMA in particular has some support in DirectX 11.2 with Tiled Resources and both the PS4 and Xbox One have technology that looks and acts similar to HUMA. Bringing the benefits of that to the PC would be easier if there’s native support for it in Mantle. 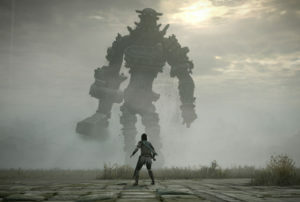 Console games also generally look better over time and this is down to developers becoming familiar with the architecture and getting to grips with the software. If Mantle can offer that same longevity for PC gamers with GCN hardware today, it’s a big bonus over what AMD’s competitors can offer. Does this have the capability of polarising the industry? Yes, of course it does. We’ve seen the exact same thing happen to 3DFX with GLIDE back in the 90’s; and although GLIDE-compatible games running on a Voodo looked stunning, the end result was that it forced Microsoft to work on and push DirectX, and OpenGL saw more adoption as more GPU vendors began to support it. 3DFX’s performance lead grew smaller as less and less games supported GLIDE in favour of reaching a wider audience. 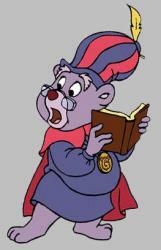 But this is not the same situation as GLIDE. This is different because Mantle is one of the primary tools in the repertoire of programs available to port Xbox One titles to the PC. 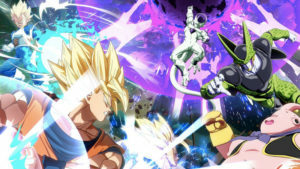 As far as reaching an audience is concerned, it corners a significant portion of the console market and covers PC ports at the same time. Making a game compatible with Mantle on the desktop will require more work, but the GPU architectures are the same, making adjusting to different platforms far easier. Will it work out for AMD in the long term? We’ll have to wait until December 2013 to find out. That’s when DICE has promised the first Mantle update for Battlefield 4 and the comparisons between Mantle and DirectX are going to be very interesting to observe.